“Water Lilies” is an oil painting created by French Impressionism artist, Claude Monet, in 1914. 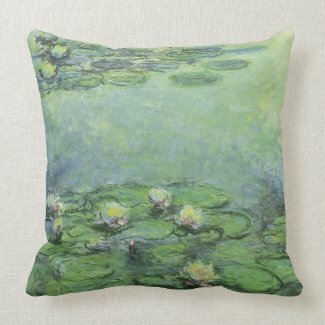 It is one of his many water lily paintings from his home and garden pond in Giverny, France. This one was painted with pastel blue, green, and yellow colors.